Traumatic Brain Injury is a type of damage to the brain that disrupts the normal functioning of the brain. Although typically caused by sudden physical force due to falls, motor vehicle accidents and other impacts, it can also occur through chemical exposure or a lack of oxygen or vital nutrients. The range of symptoms is substantial and includes everything from the physical to the mental and emotional. In addition, the symptoms can appear immediately or over an extended period of time; and the severity of those symptoms will depend on whether the Traumatic Brain Injury is mild or moderate to severe. If you or a loved one have received a brain injury by no fault of your own, you have the right to file a claim. 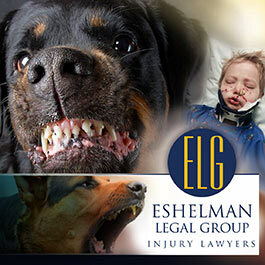 Contact the Eshelman Legal Group today for a FREE consultation. Because brain injuries do not heal the way other injuries do, symptoms of Traumatic Brain Injury can last indefinitely. In addition, persons who have regained basic functionality may not realize they are still experiencing less obvious symptoms (i.e. a change in personality, lack of attention or concentration and distractibility or impulsiveness). Even subtle, these symptoms can have negative impact on an individual’s life. Negligence: A woman slips on a puddle of water in a store and falls to the floor. At first, her injuries appear to be isolated to one leg. However, over time she begins to show symptoms of head injury movement disorder, trouble with language and concentration, slurred speech and lapses in memory. Product Liability: A car rolls down a hill and collides with a tree. Due to its defective sensors, the side airbags fail to deploy. The driver, a 16-year old male, hits his head on the roof rail. Now a young man, he has had to relearn to walk and talk, has trouble making eye contact and suffers from short term memory loss. Medical Malpractice: A fetal monitoring strip shows a life threatening drop in a baby’s heart rate. The hospital fails to perform the necessary emergency c-section. The child ultimately develops cerebral palsy. 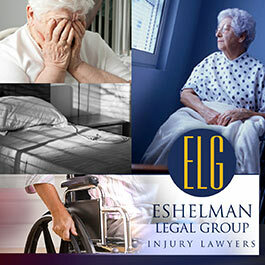 Most Traumatic Brain Injury claims fall under the category of negligence, product liability or medical malpractice. Regardless of who is responsible for the brain injury, it’s important to consult with an experienced Traumatic Brain Injury lawyer. Connecting such a complex injury to another’s negligence, a defective or dangerous product or medical malpractice can be challenging at best. 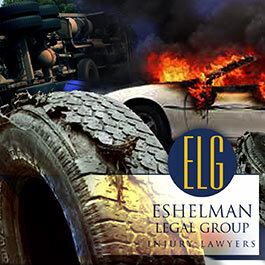 The experienced professionals at the Eshelman Legal Group are ready to help. If you or a loved one has suffered a traumatic brain injury, call now for a free consultation.